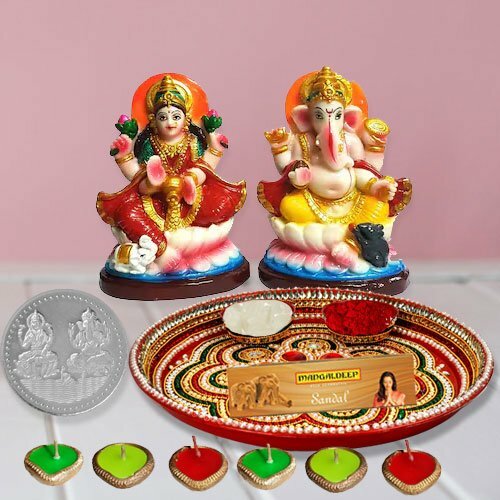 Send Diwali Gift of nicely wrapped Laxmi Puja Complete Hamper containing with Ganesh Laxmi Idol, Puja Samagri Kit, Puja Thali, Diya 6 pcs. and Free Silver Plated Laxmi Ganesh Coin. Note: Thali Size 8 to 9 inch. Ganesh Laxmi Idol weight: 160 gms. Size:4-5"